The Drumology studio is a self contained fully soundproofed, air-conditioned studio environment. It contains a Live Room for lessons, practice & recording & a Sound Room which doubles as a Waiting Room. 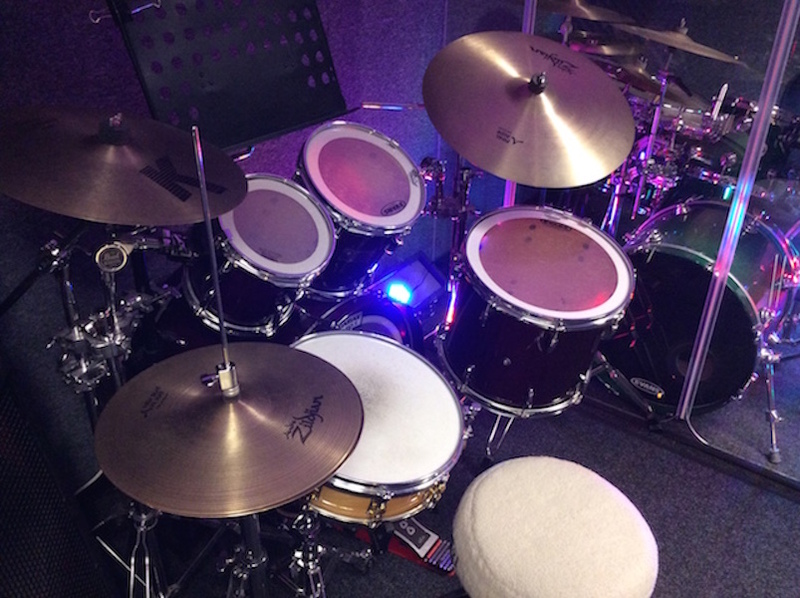 Students use a 5 piece Pearl Masters Drum Kit with Zildjan Cymbals arranged in the standard Rockschool configuration. There is a small sized Drum Kit available for younger students. Music is provided through speaker systems adjacent to the student & the studio also has a TV monitor for viewing instructional & performance videos.